Valley Renewables Group is a Community led trust, originally set up to administer the Community Benefit funds arising from Craigengelt Wind Farm. This money is used in a variety of different ways for the benefit of the whole Community. Ensure that all money received is spent wisely on behalf of the whole Community, striking a good balance between short term needs and long term investment. Please note that VRG as a group neither supports nor opposes any new wind farms within the area (this is a matter for our Community Council and individual residents). Our remit is purely to ensure that if new wind farms are given approval, we maximise the benefit to our community. 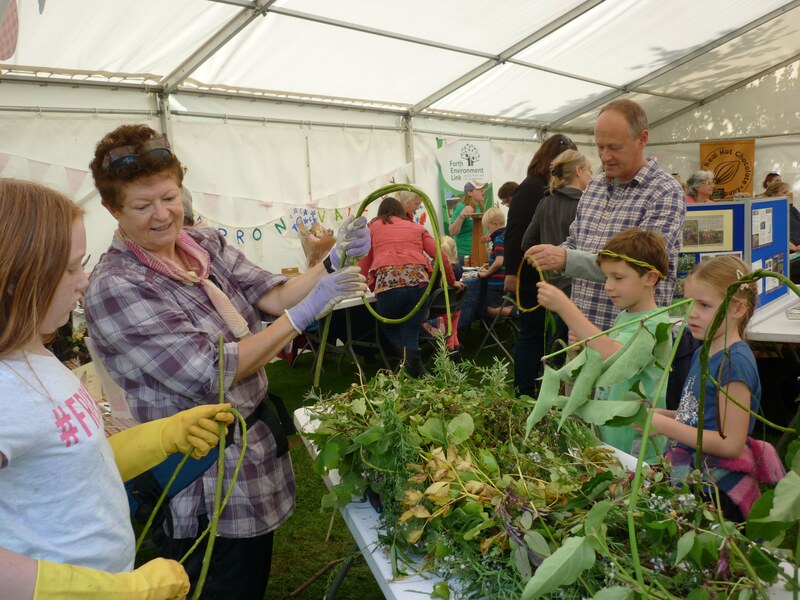 Woodland crafts at the Open Day, August 2017. Our Strategy sets out the ways in which we intend to achieve this aim over the next three years, and includes both short and long term objectives. We currently run two Small Grant Schemes; one for helping residents to improve the energy efficiency of their homes, and a second to help Children & Young People with education, skills and environmental projects. Please see our Small Grants Scheme and Young People’s Grant Scheme pages for more details. In the longer term we hope to build a Community Centre or similar as a focal point for community activities in the area, and as a way of ensuring that the wind farm monies leave a permanent legacy in the area. The rest of this website summarises our our other activities, as well as giving the current status of all wind farm activity in the Carron Valley area. Please use the tabs at the top of this page to find your way around. If you have any comments, please get in touch – we always want to hear from you! We are also now on Facebook – please ‘Like’ us, to keep up with our latest news. VRG is a full member of the Development Trusts Association Scotland.